You can use spotlight mode to project a virtual spotlight and customize the position, size, shape and width of the light. Press the Spotlight button on the remote control. 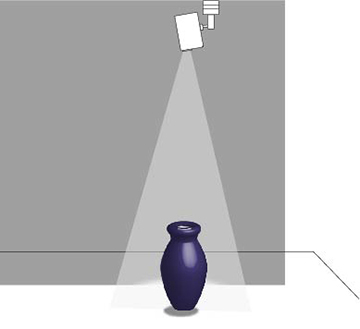 The projection image becomes a spotlight. 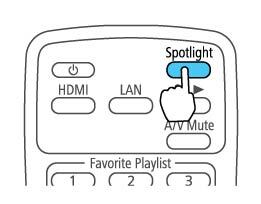 Press the Effect button on the remote control to change the overlay effect and shape filter for the spotlight.